Back to the camas! 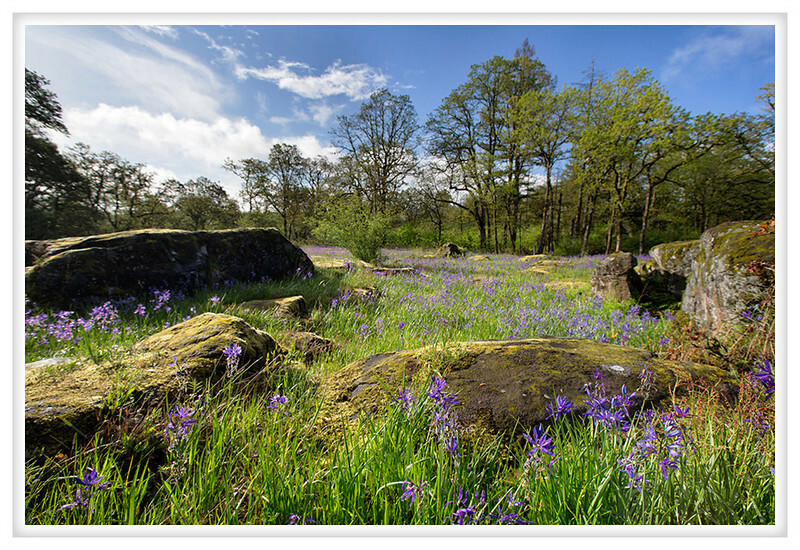 I loved this field, broken by huge mossy boulders, dotted with camas flower, and under a blue sky. This is my new favorite springtime venue, the variety of the flora and fauna is remarkable given that this is only a twenty-six acre park. I would like to go back again but the weather does not look likely to cooperate, this afternoon we had a few minutes of torrential rain coupled with lightning that I could see in a lightly cloudy sky and thunder that shook the house which was followed by hail. With weather like that I don't know if the flowers will last much longer.